Interview: The veteran Broadway actor says Stephen Sondheim’s strutting character, always the center of attention, struggles to find the center in himself. 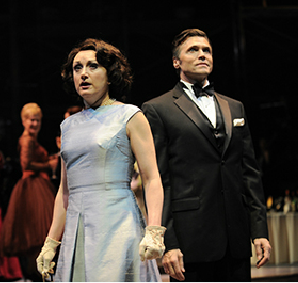 Through Nov. 13 at Chicago Shakespeare Theatre. At the center of Stephen Sondheim’s acerbic musical “Follies” stands Benjamin Stone, worldly, rich, the envy of his old acquaintances gathered at this reunion of theater folks. Ben is all of that, and one more thing — miserable. 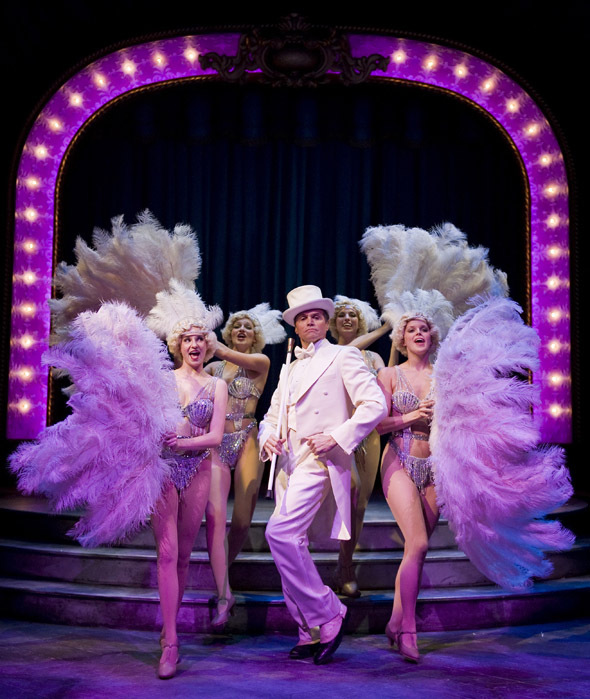 But we charmed viewers are very happy watching Barrett’s suave portrayal, his first pass at “Follies,” which the New York actor took on because director Gary Griffin, his longtime friend, asked him to. In “Follies,” Ben reluctantly accompanies his wife of 30 years, Phyllis (Caroline O’Connor) to a nostalgic gathering of former showgirls at their old theater, which is about to be torn down. Ben’s marriage to Phyllis has long since soured. On the same road to ruin is the marriage of Sally, another ex-showgirl, and her husband Buddy. Sally once was in love with Ben and, despite the passing of decades, thinks there’s still a chance. In Phyllis’ ranting, riotous big number, “Could I Leave,” she finally explodes at Ben, unleashing a torrent of pent-up anger. Ben can’t do much but sit in silent amazement. “At first it’s a slap in the face,” said Barrett. “She’s erupting, vomiting all this hurt and anger. On some level, he finds it exciting. He’s discovering there’s more to her than he ever realized. It’s like, Who is this person? Somehow, they have come to this point together and maybe now he realizes it’s not all Phyllis’ fault. 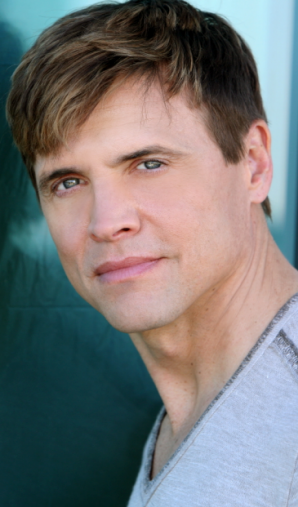 Brent Barrett in “Annie Get Your Gun” and other Broadway shows: Go to the actor’s website.